I highly recommend this collection of short stories. By following the main characters of each story around, you get a glimpse at situations that can make you go from utter bliss and happiness to a dark abyss and back to bliss again. 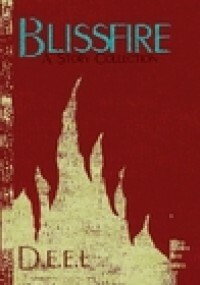 As the author says you can get bliss even if you have to go through the fire. Through the characters' journey to find bliss, the reader can feel all their emotions. The poetic reflections in prose form of a very talented young writer who is proving that writing is so natural to him as it is walking or breathing. The stories are moving, inspiring, sad, heart-wrenching, and all of them show us different situations of life. The very personal style will get you hooked from page 1, and I couldn't put it down since I opened it. They are original, with unexpected twists that will make you gasp and wonder how didn't you see it coming. The characters are very real, very well developed, and you will feel involved in their lives since the beginning of the story. Although I said it is written in a poetical style, they are easy to read and very enjoyable. For a debut collection, I have to say, "Well done!"